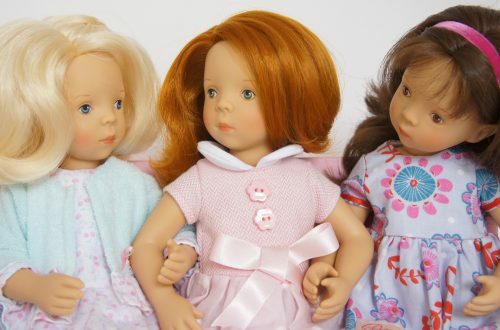 Yesterday, I met with Frances Cain, the founder of A Girl for All Time, a range of the most beautiful dolls that are somewhere in between collector’s dolls and play dolls. 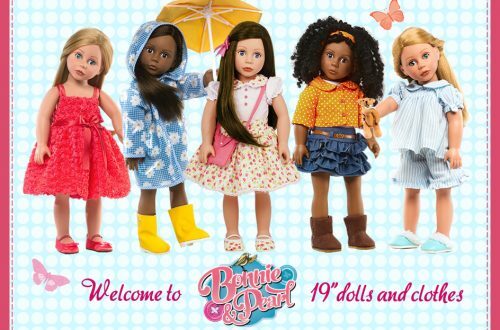 The dolls, together with a range of books and outfits, are aimed at girls from the age of 8. Each doll character lives in a different historical period, all of which are linked to Key Stage II history projects. Frances was frustrated by the lack of good quality products for her daughter, now 13. 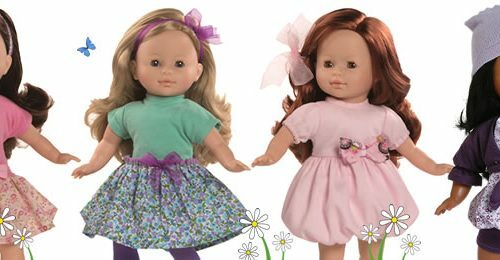 Having studied history at university, Frances came up with the idea of A Girl for All Time® in order to provide girls such as her daughter with activities that will stimulate their imagination, are interesting, educational and fun. The first doll of the A Girl for All Time series is called Matilda and she is brought to life in a novel called Matilda’s Secret, written by BAFTA-nominated writer and director Sandra Goldbacher. Matilda, soon to be 13, is the daughter of a minor noble from King’s Lynn, Norfolk. The year is 1540 and Matilda learns that she is to serve Anne of Cleves, Henry VIII’s fourth wife, alongside her distant cousin, Katherine Howard. The story tells of how Matilda travels from her childhood home to Henry’s royal palaces where she encounters adventures that will eventually threaten both her and Katherine’s lives. Matilda the doll, is divine. She is a beautifully crafted 16″/41cm vinyl doll with a body that represents a 11 or 12 year old girl. Matilda has a distinctive face that reflects the character from Matilda’s Secret. She has inset eyes with real eyelashes, healthy rosy cheeks and a handpainted mouth. Her brunette hair is a wig which is incredibly long and soft and perfect for plaiting and styling. Matilda’s limbs are very flexible as she has extra joints in her elbows and knees so she can be posed in endless positions and be dressed easily. What I think is really amazing about this lovely doll though are her clothes. The costume is typical of the period, the fabrics are very high quality and the finish is very good indeed. Matilda is also wearing underwear, petticoats and stockings as well as matching shoes. The extra sets of clothing available for her are just as wonderful. Every piece of clothing is important to the story and includes a taffeta ballgown, her nightgown and cap and a luxurious red velvet cloak. Just look at the beading! In addition to the novel and the doll, there is also a Secrets and Keepsake Book. This is packed full of suggested activities including how to create the hair styles of the period together with some tudor recipes. There are treasure hunts and family trees to investigate, ideas for sleepovers and themed parties. In fact, a brief look at the book during our meeting spurred on my 10 year old daughter and her friend to start creating tudor hair styles! It was lovely to see. The A Girl for All Time Victorian Doll is due to be launched in the Spring which is wonderful (imagine her clothes) but I must ask Frances (if she’ll tell me) what the other dolls are going to be.